The Rt. Rev. 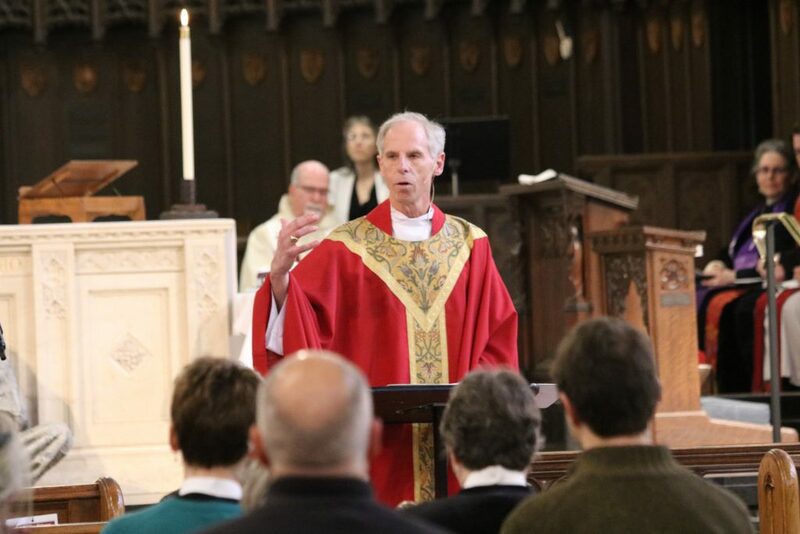 Dr. Douglas J. Fisher is the IX bishop of Western Massachusetts. Consecrated on December 1, 2012, Fisher came to episcopal ministry after serving as rector of Grace Church, Milford, NY. Bishop Fisher is a member of Bishops United Against Gun Violence. He has been an outspoken opponent of legalized casino gambling in the Commonwealth and an advocate for racial justice and creation care. The following sermon was given this morning at the annual Renewal of Vows and Blessing of Oils at Christ Church Cathedral. Welcome. Thank you for taking time away from sermon prep, acolyte wrangling, bulletin proof-reading, pastoral care and answering questions about when IS the Easter Service, to come together in mutual support of one another in ministry. Welcome Lutherans and UCC. Some of our liturgical language may be different, but the mission is the same. Jesus’ mission of mercy, compassion and hope. When so much in our world seems to be coming apart, we are coming together. I am grateful for you. A humbling reminder on the day we renew our vows as ordained leaders in the church. Notice it wasn’t because of what I said. No great insights or pearls of wisdom changed their minds. It was being in the midst of the people. Going to where they are. That’s what I will be praying about today when I renew my vows. How about you? Priest, minister, deacon. The Holy Spirit, working through so many people around you and through sponsoring parishes and commissions on ministry, called you. Maybe it was a few years ago or maybe it was forty. Why did they choose you? In all your quirky uniqueness. Why did they choose you? And what made you say yes? While you are thinking about that, let me provide a structure for your particular answer. Matthew 5:16 Let your light shine before others, SO THAT they may see your good works and give glory to your Father in heaven. Romans 12:2 Do not be conformed to this world but be transformed by the renewing of your minds, SO THAT you may discern what is the will of God- what is good and acceptable and perfect. John 3:16 For God so loved the world that God gave his only Son, SO THAT everyone who believes in him may not perish but have eternal life. 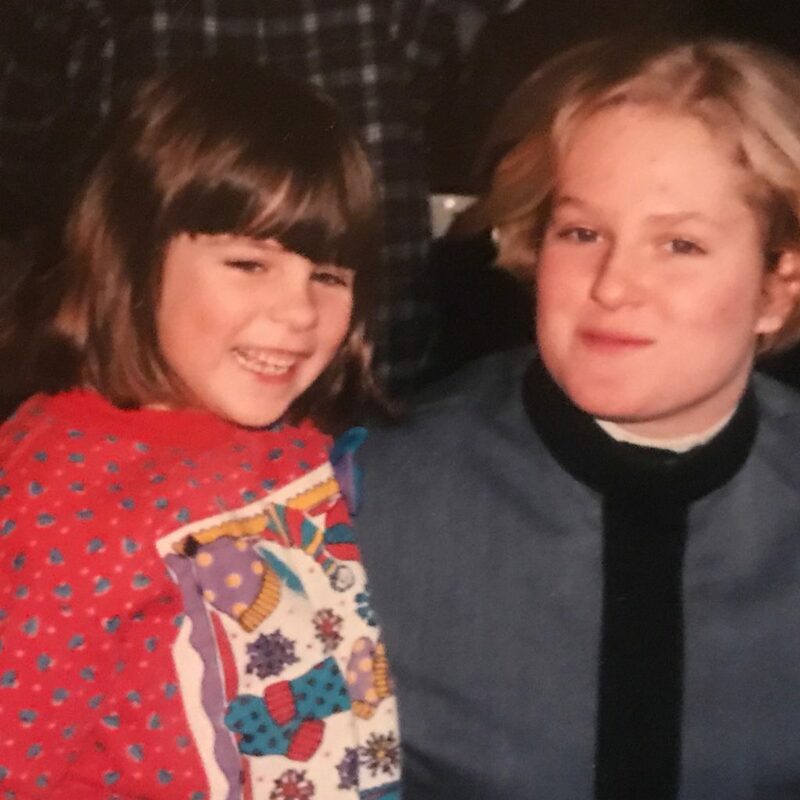 I was ordained so that… What comes next? I hope you answer that with something spectacular. Something worth giving your life to. I will renew my vows SO THAT I can offer my spiritual gifts to a community of faith that has richly blessed me and that helps me to grow in ways that matter. I will renew my vows SO THAT I might share and testify to the love that saved me and made me and holds me. I will renew my vows SO THAT the hope and justice of God in Christ would be made known. We were called by God, loved by Christ SO THAT we may understand the power of His Resurrection. I was ordained SO THAT I could help spread the light and hope of Christ. While you think of your answers I’m going to ramble on about a couple of other things. Here’s another quote from the wise Mariann Budde. It is a long quote and we all know you should never use a long quote in a sermon. So don’t tell the bishop. “Here’s why we need resilience. Because we are called to lead others from where they are now, as a body, to where God is calling us, a preferred future or a necessary sacrifice. That process, by definition, invokes resistance. Resistance is not all bad; nor is all change good. As a result, those of us called to lead have no choice but to live and move and have our being in what might be called ‘the messy middle.’ That place where nothing is clear, where what you thought was a God inspired idea goes nowhere, where those who called you to lead are now resisting you with everything they’ve got, and it occurs to you that working as a barista in your neighborhood coffee shop seems like a more fruitful place for ministry than the church.” Or you long to stack the groceries in the supermarket. Now for a few minutes on today’s gospel. I won’t be long. 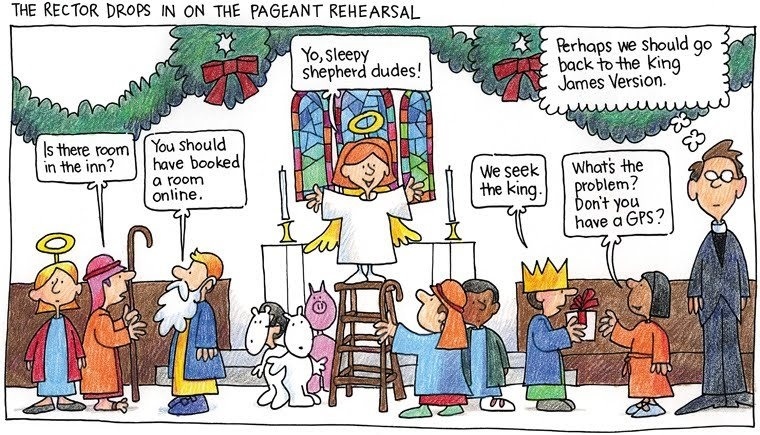 I know not all the Holy Week bulletins are done. I chose the Gospel about what Walter Brueggemann calls “the riot in the Temple.” I chose it because I believe it is a pivotal part of the Holy Week story and it gets overlooked. 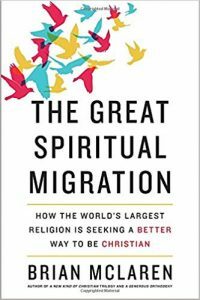 And I think it is a key story for the ministry we share. I just learned a few days ago that the Cathedral in Connecticut is doing something new and meaningful with this story. On Palm Sunday we begin with the triumphant entry into Jerusalem and then at the time for the Gospel we read the Passion which continues the story beginning with the Last Supper. We go from the hosannas of the crowd to Jesus agonizing over his impending death. We leave out a key part of the story that explains this very severe change of tone. The riot in the temple. Here’s what Connecticut is doing. The usual opening of the service with the entry into Jerusalem. Then at the time of the Gospel the story of the riot in the Temple is read. And then at the very end of the service, the Passion is read and the congregation leaves in silence to continue their Holy Week journey. This story suffers too from a superficial understanding. How often has this passage been used as “you see Jesus is human like us. He got angry.” The same way the Martha and Mary story gets reduced to “we all need to balance out our busy Martha lives with Mary-like contemplation.” We interpret the verse this way SO THAT we don’t have to acknowledge the social revolution Jesus began in bringing women into the male-only circle of religious thinkers. This passage has meanings so deep that the four evangelists take three approaches to it. Mark and Luke just tell it and then go right away to the chief priests looking for a way to kill him. John uses it to illustrate the scripture “Zeal for your house will consume me.” And an early reference to the Resurrection. Only Matthew follows the Temple cleansing with healing stories. Throwing over tables creating a space for healing. I will come back to that. But the heart of it was an unjust sacrificial system that made demands on the poor. In words and with very clear action, Jesus drew our attention to a societal problem and acted on it. Jesus didn’t just offer thoughts and prayers. He overthrew tables. He disrupted the system. A system that many believed to be sacred. On this day in which we renew our vows, I will ask another question: Do you ever feel like throwing over some tables? Here’s some I feel like throwing over. The public health crisis of gun violence. 97 people a day die from gun violence in the United States. Many from suicide. Several children every day from accidents. 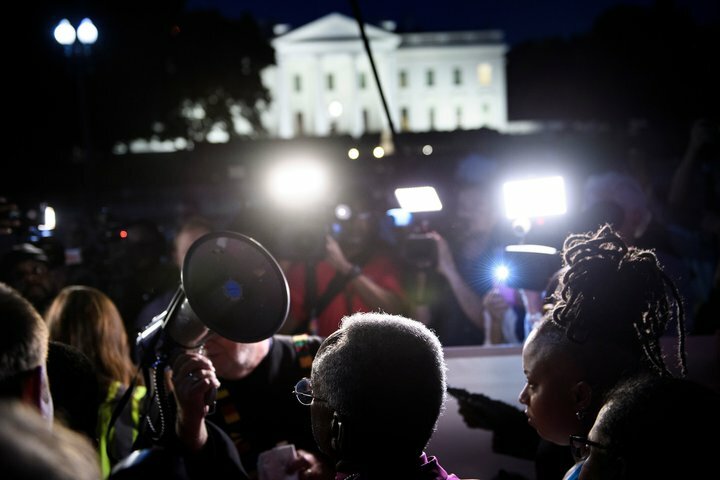 Many in our urban communities as victims of what Michael Curry calls the “Unholy Trinity” of racism, poverty and guns. And some in our growing number of mass shootings – the ones that get our attention. America loves her guns and her guns are killing her loved ones. Many loved the theology and culture and economy of the Temple sacrifices but that did not stop Jesus. Then there is crisis of creation around climate change. 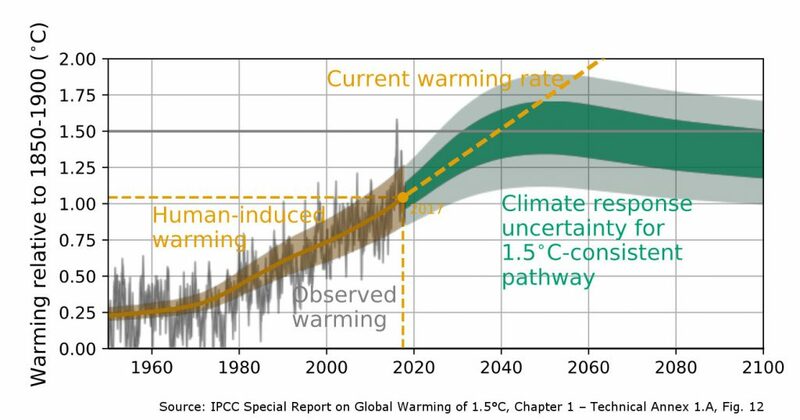 I could quote our own Margaret Bullitt Jonas on this but in the spirit of ecumenism I will go with Pope Francis: “Human induced climate change is a scientific reality, and its decisive mitigation is a moral and religious imperative for humanity. In this core moral space, the world’s religions play a very vital role.” If we commit to passing the faith down from generation to generation then we have to commit to a sustainable island home for future generations. The plight of immigrants in our immigrant nation. Children in cages at the border. Lucio Perez in sanctuary at the UCC Church in Amherst for a year and a half, forced to live apart from his wife and their four children. What would the Jesus we follow- the table over thrower- tell us to do about that? My actions are never closely adequate to the depth and expanse of the question. Thank you for all the times you have inspired me in this work of overturning tables. 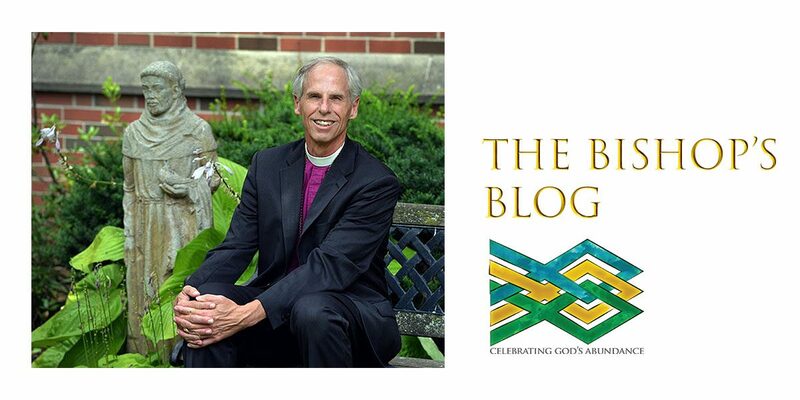 This month the Bishop’s Blog is co-written by The Rev. Dr. Margaret Bullitt-Jonas, our Missioner for Creation Care, and Bishop Fisher. A sermon offered at St. Mark’s in Leominster on September 16. Gospel text is Mark 8:27-38. 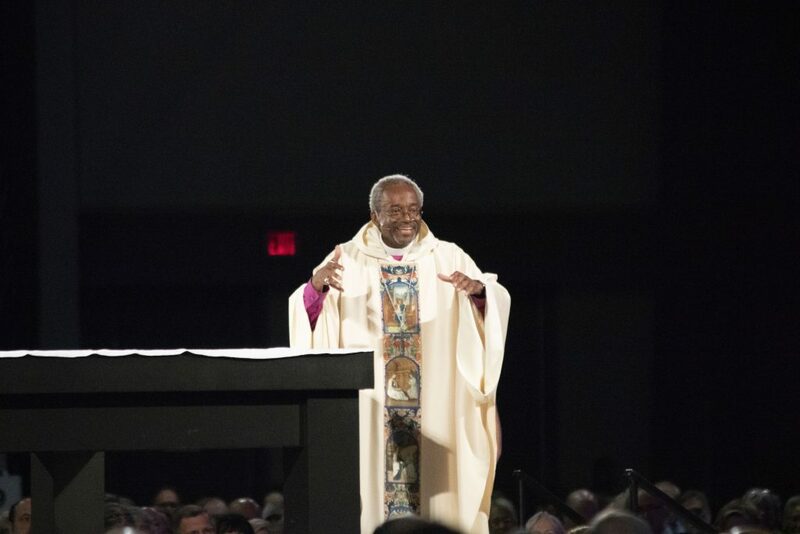 Everyone knows by now that our Presiding Bishop, the “Royal Wedding preacher,” Michael Curry, is coming to our great diocese for an Episcopal revival on Sunday October 21st. The gospel writers don’t use the word “revival” but I think that was what it was when Jesus preached and fed the 5000. And there was a time when Jesus was not preaching a revival but he himself was in need of a revival. I think that time was the Gospel passage we had last week and I think what happened there impacts what happens in today’s gospel story. Remember last week Jesus went to the region of Tyre. He entered a house and did not want anyone to know he was there. Jesus wanted some down time. And if you read the first seven chapters of Mark’s Gospel you would know why. Jesus goes from Nazareth to Capernaum, then north, then south, across the Sea of Galilee several times. Over a dozen different locations are mentioned. Jesus is on the move. And remember they didn’t have Uber™ in those days. Jesus is walking. His pace matches the frenetic pace of Mark’s gospel – the gospel that has the word “immediately” 56 times in 16 short chapters. Jesus has to stop and slow down. Amazing things can happen when we stop and slow down. 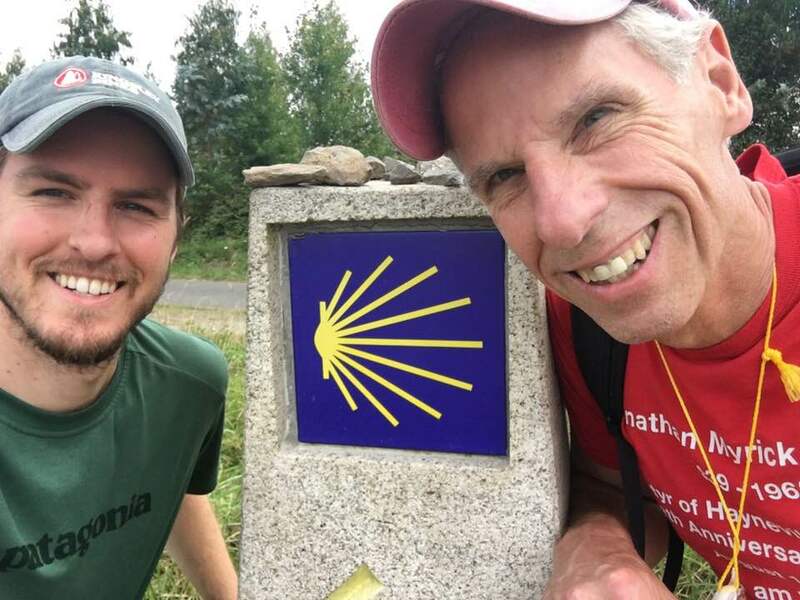 This summer I walked 120 miles of the Camino de Santiago in Spain with my son Geoff. It is a pilgrimage with a deep spiritual tradition. Thousands and thousands of people from all over the world come to Spain to take part in it. It was a tremendous experience for my son and me. The first few days we were not rushing, just walking at our normal pace. My son is 6 foot three and we both have long legs. That meant going at our normal pace we were passing everyone. 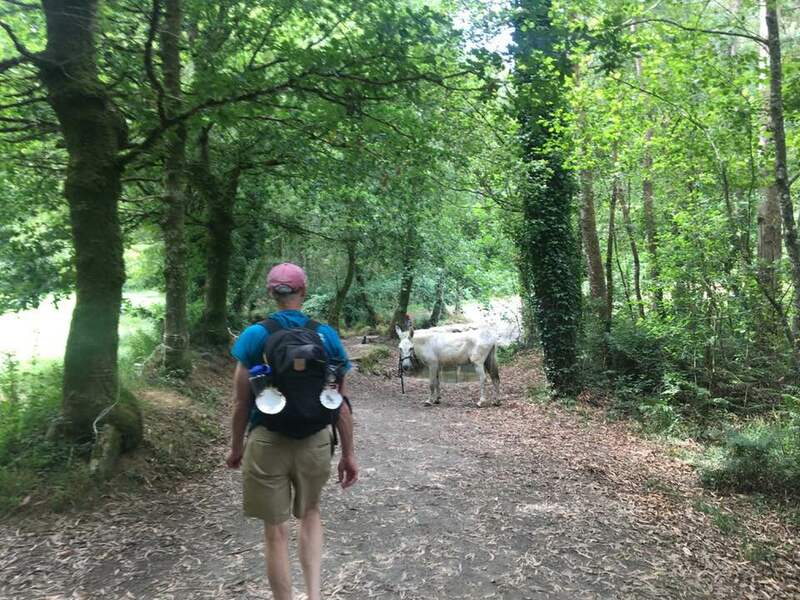 And, staying with the custom, we would say “Buen Camino” to each pilgrim that we passed. But not much more. In the last few days Geoff developed a sore knee. It wasn’t enough to stop us but it did mean we had to walk more slowly. And because we did, we walked alongside other pilgrims and got to hear their fascinating stories. We met people from Korea, Ireland, New Zealand, and England. That only happened because we slowed down. Jesus is tired. He is in need of a revival. And because he slows down a Syrophoenician woman gets to see him. Her daughter has a demon and she is hoping Jesus will cure her. Remember this woman is not from Israel and Jesus thinks his mission is only to Israel. 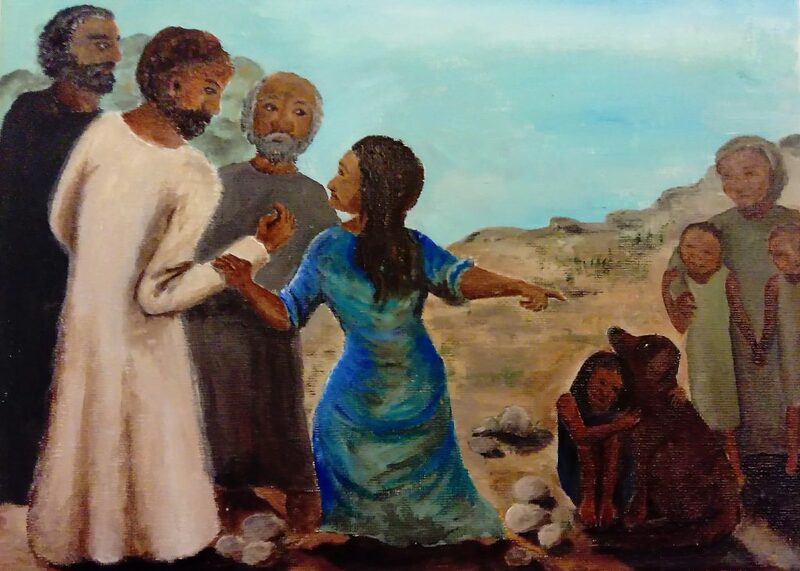 When she makes her request, Jesus says something very unlike Jesus. Let the children be fed first, for it is not fair to take the children’s food and throw it to the dogs. Ouch! Jesus needs reviving. She answers, Sir, even the dogs under the table eat the children’s crumbs. At that exact moment Jesus is revived. He realizes his mission is not restricted to Israel but is to the whole world. He cures her daughter. And his mission is expanded and revitalized. For those of you surprised that Jesus learned something new, I invite you to check out Luke’s gospel where we are told three times Jesus grew in age, wisdom and understanding. Jesus, fully divine and fully human, had truths to learn. Now we are ready for today’s gospel and the new place in Jesus’ journey. 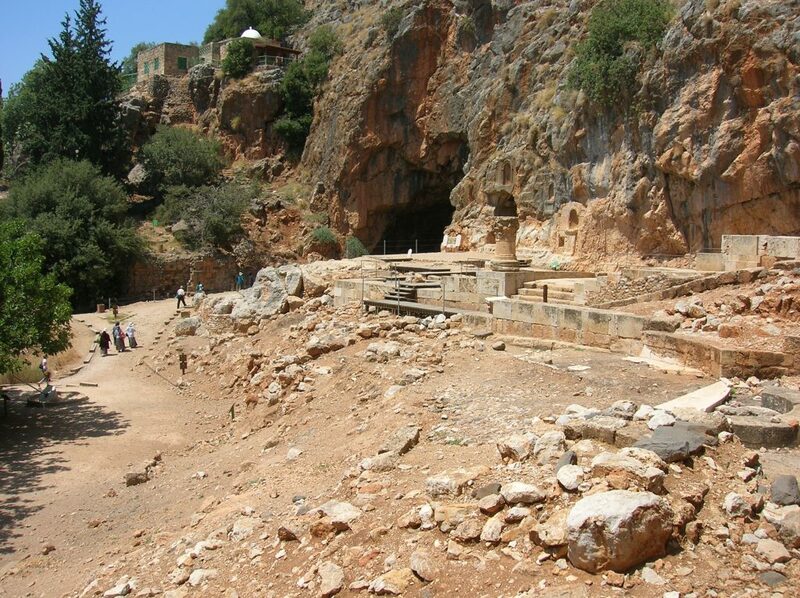 He arrives in Caesarea Philippi. Caesarea Philippi was not always called that. It used to be Naphtali and it was the location of great deeds performed by Kings David and Solomon. It was a holy city for the people of Israel. But when the Roman army took over Israel for the Roman Empire, they renamed it. Caesarea means, “Caesar’s town.” Philippi was the name of a Roman Tetrarch. The Romans are really putting it in the face of the Jewish people. 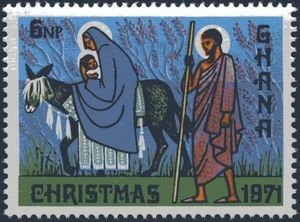 Jesus arrives with a large following. At this point Jesus is at the height of his popularity. We know this because not long ago he had a revival with the 5000 people. He has so many followers now that he no longer knows them personally. He has to ask his disciples. Who do people say I am? And many are thinking he is the one who will drive the Romans out. That’s the scene. Jesus with his great following is in a place where people are looking for a revolution. Would he lead them against the Empire? 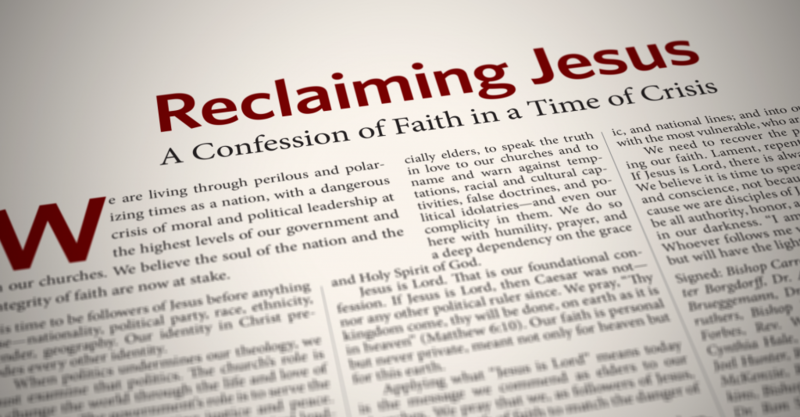 Jesus had proclaimed a different kingdom – one of healing, forgiveness, compassion and hope. But I think at this moment he is tempted with a worldly kingdom. Here’s why. Earlier in his ministry Jesus was tempted in the desert by Satan. The temptations were about seizing earthly power for himself. Jesus rejected Satan that day but Luke’s gospel tells us Satan left him to return at an opportune time. The battle was not over. Satan was coming back. This is the moment of his return. It does not make sense for Jesus to be so furious at Peter to say, Get behind me, Satan to Peter. He is not calling Peter “Satan.” He actually sees Satan, tempting him once again with the power of this world. At that moment Jesus could have given in and become just another leader written about in history books. Instead Jesus chooses a true revolution – a revolution that changes hearts. A revolution that is still going on as we attempt to change the world through compassion and grace. And there is another dimension to Caesarea Philippi. The Romans who settled there built temples to their gods. Temples in which sacrifices were performed. The temple here was to Pan. To Pan, the Romans sacrificed pigs – and threw the remains into the lake, thereby defiling that so that the Jewish people could not drink it. You can understand why the Jewish people wanted the Romans out. When the Romans did that they were following a theology that had existed for thousands of years. Sacrifice animals, sometimes even children, to God so that God might be appeased. “Here God. Take this. And leave me alone. You are a terrible God. Stay out of the life of my family.” In the city of the Temple of Pan, Jesus, consistent with the prophets of Israel, reverses this practice and this theology. We no longer sacrifice to appease God. Jesus, the Son of God, now sacrifices for us. This means we no longer push God away. We now invite God into our lives. We can now ask God to be with us. Jesus changes the world by completing changing the way we relate to God and one another. This is a commitment to a new heaven and a new earth.